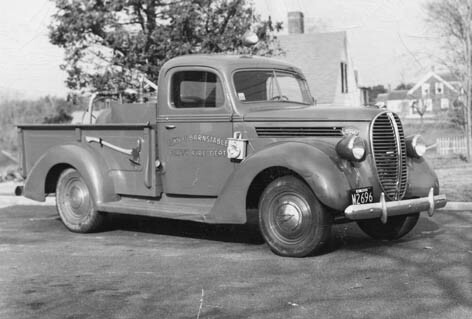 Fox and 1930 GMC wait, along with the 1938 Town patrol truck. 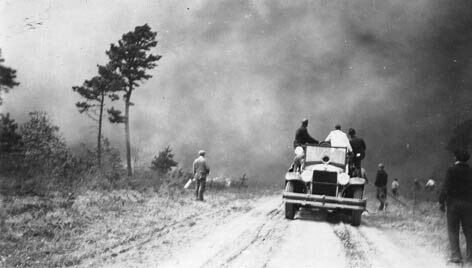 Fire crosses Great Western Road in Dennis c.1930s. 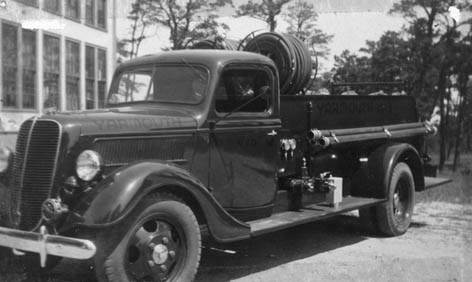 Early fire apparatus was equipped to battle brush and forest fires. 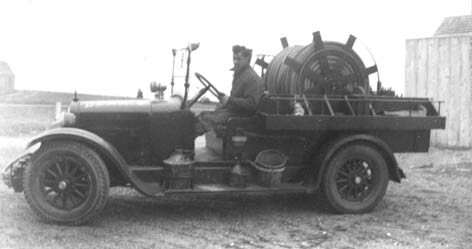 This Dennis fire truck has a large reel of forestry hose. 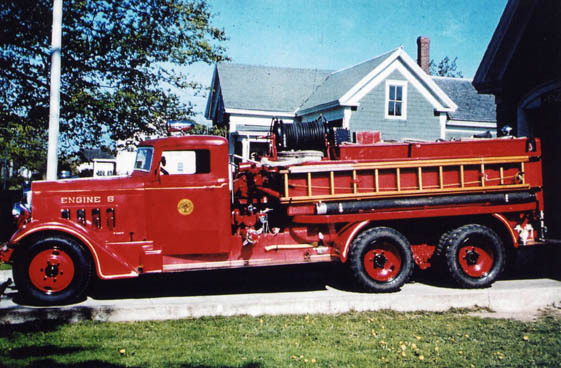 This fire truck served Yarmouth. 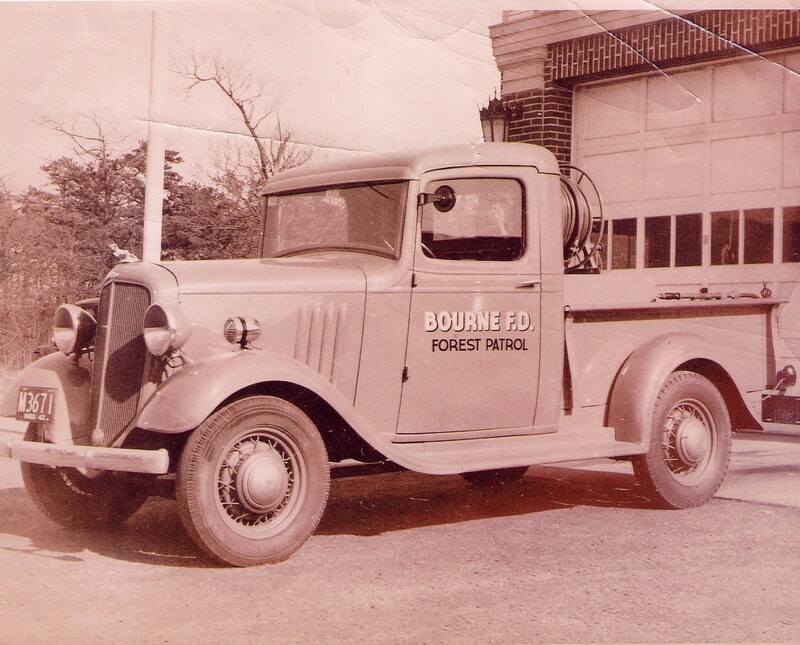 Town of Barnstable 1938 Ford Fire Patrol Truck. 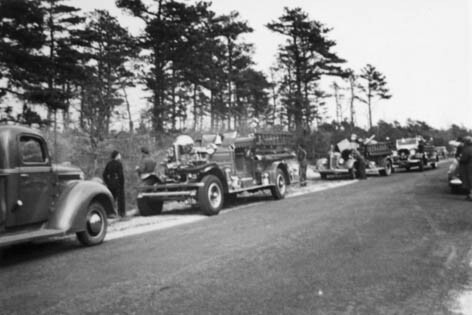 The patrol truck was usually first to respond to brush and grass fires. This had a 185 gallon water tank and 300' of 3/4" hose. 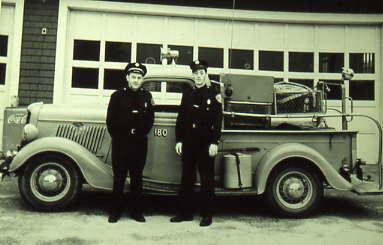 It is reported to have been one of the first apparatus with a two way radio. Forest Fire Patrol truck Orleans Fire Dept. 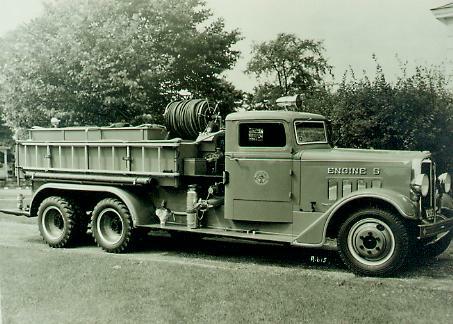 1935 Ford 800 gallon tanker as Tank 35. 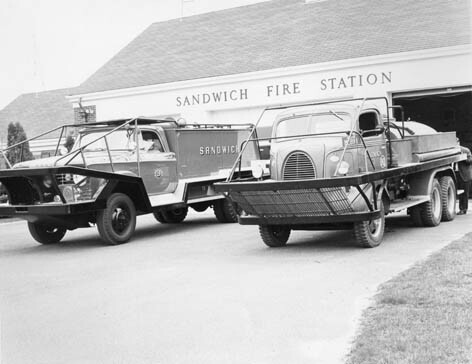 It served until 1965.
battle grass and brush fires. 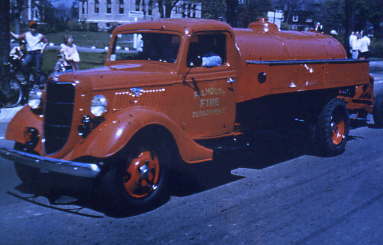 Maxim built this large pumper for Falmouth in 1938. Falmouth Engine 5 had a 500 gpm pump and 1000 gallon tank. another 7 years as Mashpee's Engine 5. 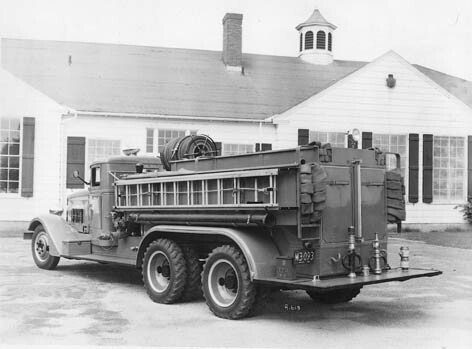 Buffalo Fire Apparatus. 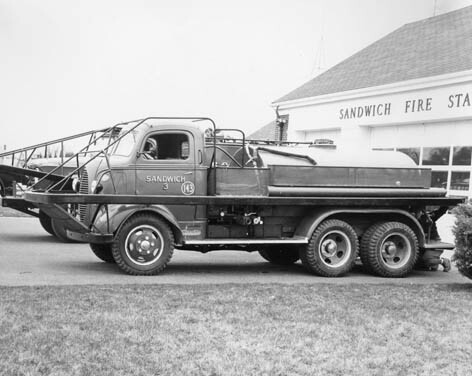 It had an 85 hp V8 motor and carried 1000 gallons of water. according to sources. It served Sandwich until 1965. 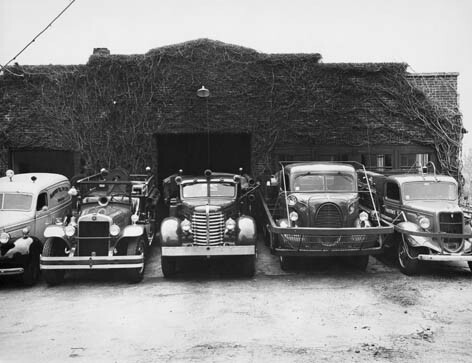 The 1938 Ford brush breaker was replaced in 1965 by a Dodge brush breaker. is shown to the right of the breaker.